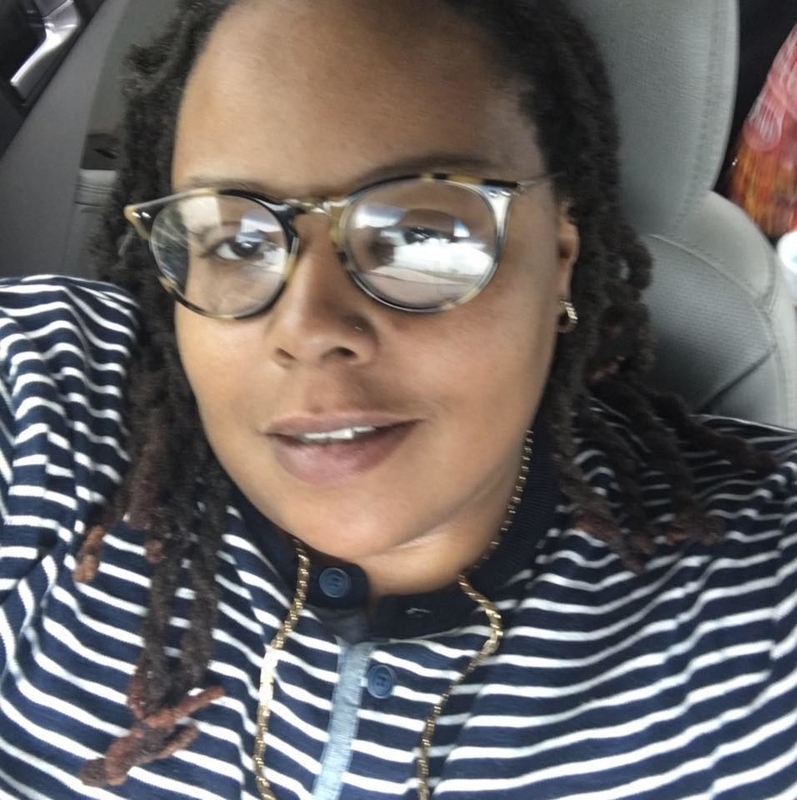 Ja'Naea Modest is a 33-year-old resident of Champaign, Illinois, who's (still, thankfully) employed by a nonprofit where she works with people with mental and physical disabilities. Modest, who's also a DJ, had recently started thinking about looking for a new job. "I love my job but I'm trying to move so I need some money," she told BuzzFeed News. Last Friday, she heard about a local middle school holding a job fair. She decided to walk over and apply for a position at the school she was interested in. She tried to be discreet by going over to the job fair during her lunch break. "I finished my shift that morning [and] during my break I hurried and went to change clothes, and went over to the job fair," she said. The representatives requested she complete an application for the job then and there. She did so, and then headed back to work. "I was focused on the application — I did not know [the local news] was there. I had no idea what was going on — I came back, changed my clothes, and did the rest of my shift," Modest explained. She was wrong. Later that day, when she was at a friend's house, she saw herself on the local news during a segment on the job fair. There she was, on TV, concentrating really hard on completing that job application. Modest said her friend's dad was the one who was watching the local CBS news station WCIA 3 and spotted her, paused the programming, and called her over. "He jokes a lot ... and said, 'They have a nice picture of you on TV right now!' And I said, 'What are you talking about?' and he said, 'No, I'm dead serious,' and he pushes play, and there I am." "They did a whole story on the job fair and at some point they zoomed in on me doing the application," she said. Modest said all she could think about at that point was how "it's the 5:00 news, which means you're gonna be on the 6:00 news. Then they're going to put you on the 10:00 news." "Well, they know now," she said of her current employers finding out she's actively looking for new work. Since she figured everyone in town knew, she said what the hell, and shared the misfortune on Facebook. Her post has not only gone viral on Facebook, it's now being screenshot and shared across multiple social platforms. People are CTFU. People hilariously imagined what the awkward encounters and conversations would be with Modest's manager. Modest said a few people in her office have asked and joked with her about the situation. Fortunately, no "upper reps" have yet "come to see or talk to me," she said. "I'm not trying to see them — I'm avoiding everyone like the plague," she said. Modest said the viral attention is "pretty cool" but "nothing's changed" for her since — just a few more people are hitting her up. She's still keeping a low profile at work. However, she said being featured on the Shade Room was "surprising." Modest said if and when her direct manager finds out and pulls her into a meeting, she will completely come clean. "Well, guess this is my time," she said. "Everything happens for a reason." Until then, she's "going with the flow." 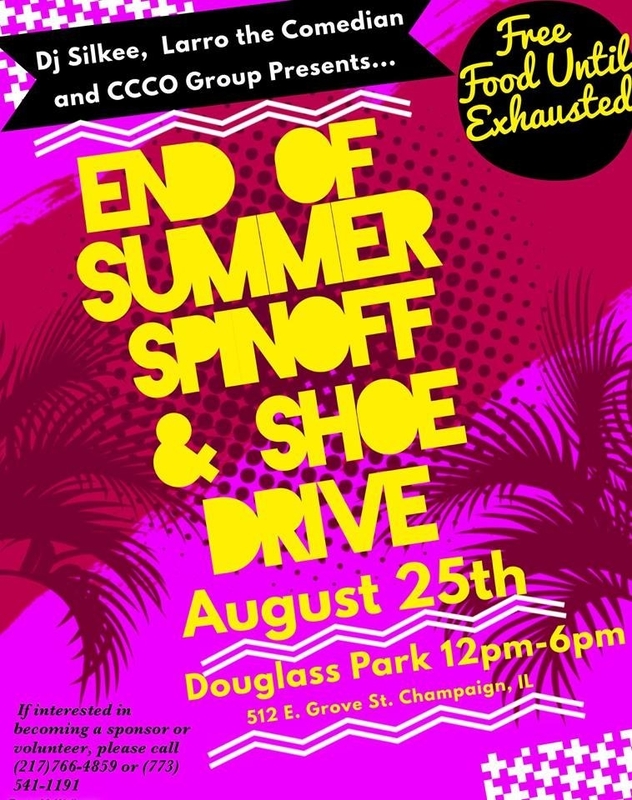 She's hoping she can harness some of the media attention to a local shoe drive she's helping to coordinate with friends that will collect donations and school supplies for kids in the area heading into the new school year. Modest said there will be free food and she will be DJ'ing. BuzzFeed News has reached out to WCIA 3 News for comment.